The Nations oldest and largest in-water boat shows are here! Come aboard our latest listing, “Nyeema” a 2004 Back Cove 29, at the Annapolis Brokerage Boat Show. Not only does Trawler Fest provide an endless amount of resources through seminars and exhibits but also encourages the social aspects of cruising. The event includes roundtable discussions, a Welcome Breakfast, lunches, a dinner, cocktail parties, and evening activities, all of which help grow the cruiser enthusiast community. Whether you are a novice or an experienced boater, you will have the opportunity to ask questions and share stories. Trawler Fest provides you an avenue to meet other cruisers, talk with professionals, and relax in a different boat show environment. Mustang, a Forbes Horton Yachts central listing, offered for sale in Annapolis, placed 2nd in the 2013 National Sailing Hall Of Fame annual classic yacht regatta. The 1936 New York 32 reveled in the 10 to 15 knot North Westerly and aptly demonstrated that the 80 year-old design has always been and still remains a winner. Mustang is a legacy yacht, having been owned and campaigned offshore for 23 years by Rod Stephens, brother of the architect. Her current stewards of over thirty years are dedicated to finding Mustang a new owner to carry on her tradition. 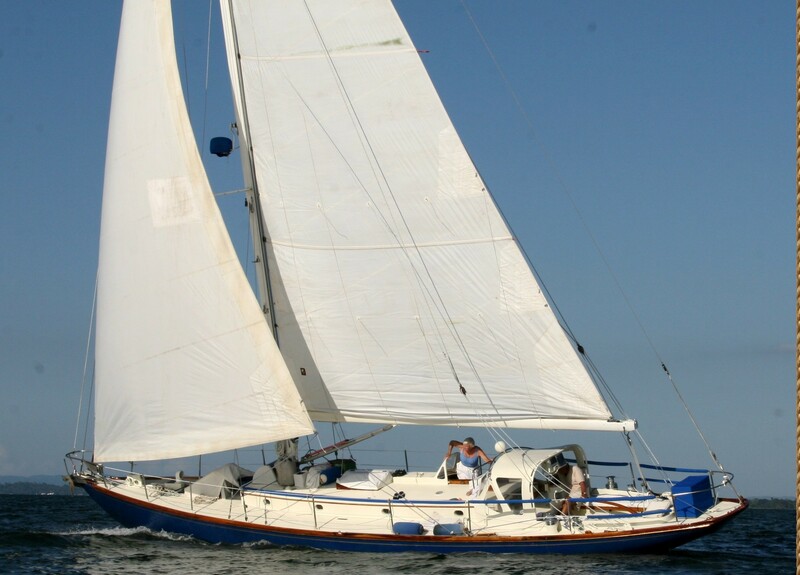 FHY’s broker Bill Day is selling this Southern Cross 35 Cutter for the fourth time. This is an excellent sailing design by Tom Gilmer built in the ” Ocean State” in the heyday of cruising yacht boat building. We wish the new owners fair winds and following seas!